Share booth #16111 with others. 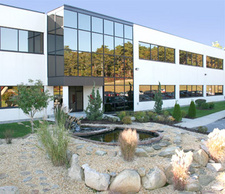 Associates of Cape Cod, Inc. (ACC), is one of the world's largest manufacturers of products developed to detect and quantify gram-negative bacterial endotoxins and (1-3)-ß-D-glucans. Our products are used worldwide by leading pharmaceutical and medical device companies to ensure the safety of their parenteral drugs, biological products and medical devices. Our goal is to provide the best products and services, as well as the best technical support and customer service, in our industry to enhance the productivity and efficiency of all our customers. We are ISO 13485: 2003 certified, our laboratories are FDA Inspected and DEA Licensed and our Beacon Diagnostics ® laboratory is CLIA certified.